The IIT Bombay is also referred as IITB or IIT Powai. It is the second Indian Institute of Technology to be established after IIT Kharagpur. The IIT Kharagpur was established in 1951 and on the similar line; the IIT Bombay was founded in 1958 with the help of the UNESCO and the then Soviet Union. 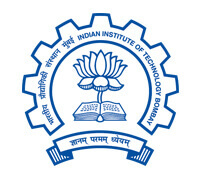 The Indian Institute of Technology were formed after the recommendations of the parliamentary committee to form four IITs. These IITs were established to set higher standards of technical learning in the country. It is a Public Engineering institution. In 1961 the IIT Bombay was declared as the Institute of National Importance. By QS World University Ranking for 2018 – IIT Bombay is ranked 179. By QS Asia University Ranking for 2018 – The IIT Bombay is ranked 34. Among BRICS (Brazil, Russia, India, China and South-Africa) countries universities – IIT Bombay is ranked 9th. Area – The college campus is spread in area of 550 acres. Location – The College is located in the East Mumbai near to the Sanjay Gandhi National Park and Powai and Vihar lakes. Drupal – It is an annual international conference on the Web framewok Drupal which is hosted by the IITB time to time. Tech-fest – It is one of the Asia’s biggest annual technical festivals which are attended by scientist and innovators from around the world. Chemical Engineering Stream – organises ‘AZeotrophy’. Mood Indigo – Annual cultural programme which is attended by popular personalities from different fields. For example – Aamir Khan, Mark Tully, Sachin Tendulkar etc have graced the festival. Entrepreneur Cell – To help the start-ups to grow. Hostels – There are total 16 hostels. Sports and NCC – The campus has swimming pools and indoor and outdoor sports facilities. Departments – There are total 17 academic departments and 3 schools of excellence. The college offers B. Tech, M. Tech, B. Des., Dual degrees, M. Phil and Ph. D programmes. The college has active networks with similar other colleges and universities in Europe and Asia. Thus under the LAOTSE (Links to Asia by Organising Trainee Student Exchange Programme) programme the college exchange students and scholars to enrich learning experience of students. Students should qualify the IIT JEE Mains and IIT JEE Advanced exams. Those students who qualify the IIT JEE Mains exam can sit for the IIT JEE Advanced exam. A student should have qualified Class 12th / equivalent in PCM subjects from a recognised board/ university. To get admission in the IIITs, CFTIs, NITs, and IITs students should have a minimum score of 75% (SC/ST- 65%) marks. An applicant should be born after 1st October 1993 to appear in the JEE Mains 2018 exam. A student can appear for maximum 3 times in the JEE Mains exam. The JEE Mains 2018 Exam is scheduled to be held on 8th April 2018 (Offline) and 15th and 16th April 2018. The Admit Card for JEE Mains 2018 has been released on 12th March 2018. To take up the IIT JEE Advanced Exam 2018, students should occupy first 2, 24, 000 rank in the JEE Mains 2018 will be allowed to take up the exam. Students can apply for the exam online through the official website of the IIT. World leading companies come for making campus placement of students. Some of the leading companies coming are Microsoft, Infosys, Oracle, Adobe, Accenture, Qualcomm, Essar, Morgan Stanley, Motorola etc. 6 – 7 lakhs per annum.